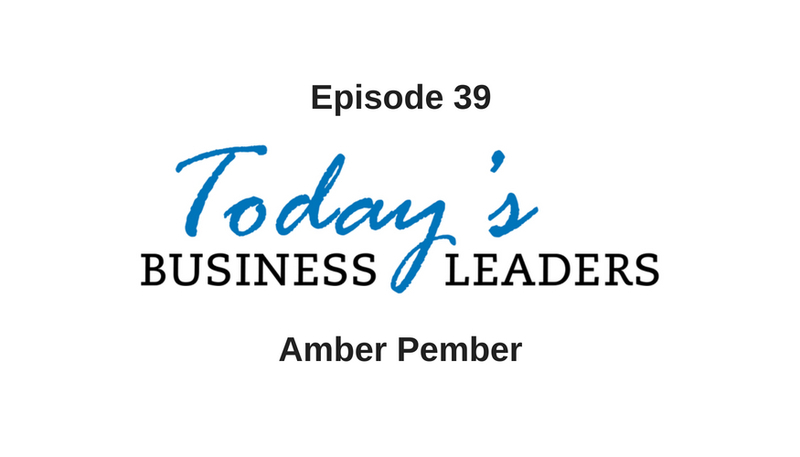 Every time Amber Pember has reached an important fork in the road, she has relied on her instinct and gone with her gut. Over the course of her career, she has learned the value of learning and the importance of staying true to her vision. Amber’s entrepreneurial journey hasn’t always been easy, but she wouldn’t have it any other way. Gabe recently had the chance to sit down with Amber and interview her for Today’s Business Leaders. Find out how Amber got her start, how she refined her 90-minute pitch and why she is packing it all up to travel the country. Despite her reservations, Amber started out working corporate jobs. Things didn’t exactly go well, and even though she gave the work her all, Amber was let go. This was the first of many turning points, and Amber made the call to do things her way from there on out. Amber had the drive and an idea for a business, so she got to work making it happen and practicing her pitch. She refined her presentation skills, using a deliver-and-close technique. Essentially, she shows up, listens to what her prospects need and customizes her presentation to fit those needs by showing different options. She then lets her prospects sit with the information and evaluate things, and at that point, she comes back in to see what choice they would like to make. This no pressure approach netted thousands of deals and allowed Amber to grow her business at a rapid pace. In a mere 18 months, Amber was pulling in six figures. When she was starting out, Amber didn’t initially have mentors. She learned as she went and eventually found like-minded people to surround herself with, but her new goal is to give back. Amber will be embarking on a speaking tour, the EMBOLDENED ENTREPRENEUR TOUR, designed to help budding entrepreneurs find the necessary tools to launch their careers. Reach out to Amber and find out when she will be speaking near you by getting in touch via email or Facebook, or visiting her site. Listen to more insightful interviews by catching up on episodes of Today’s Business Leaders, and visit Gabe’s site, Business Marketing Engine, to find out about the solutions available.